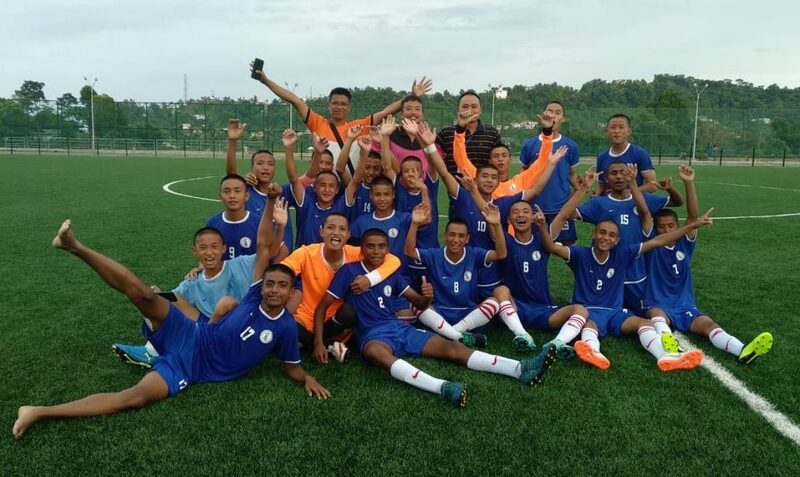 Defeating their arch rivals Manipur in the final league match of the ongoing Sub Junior Boys National Football Championship 2018 (North East Zone Qualifiers) by a convincing margin of 2-0 goals, team Arunachal has made it to the final rounds of the coveted tournament. The match was played at Aizawl in Mizoram. With the win, the state’s sub-junior boy’s football team finished at the top of its group and qualified for the final round of the championship for the first time in the history of the competition. The final rounds of the championships would be held on October. “It was a must win match for us and our boys showed strong mentality to register this fabulous win” said team head coach,” Rocky Ramching. We will hopefully continue this form in the final round of the championship as well, he said.